Benton County has a population of 26,076 and is one of the largest counties located in the east central portion of the State, embracing 20 congressional townships and stretching over 720 square miles. Benton County is bisected by Highway 30 and is conveniently close to one of Iowa’s major metropolitan areas, Cedar Rapids. 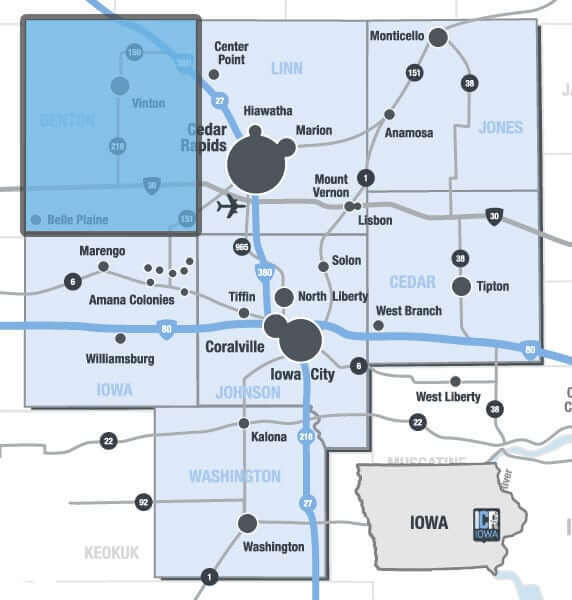 Our cities offer the comfort and security you’ll find in small-town Iowa with convenient access to great shopping, education, healthcare, and recreation.